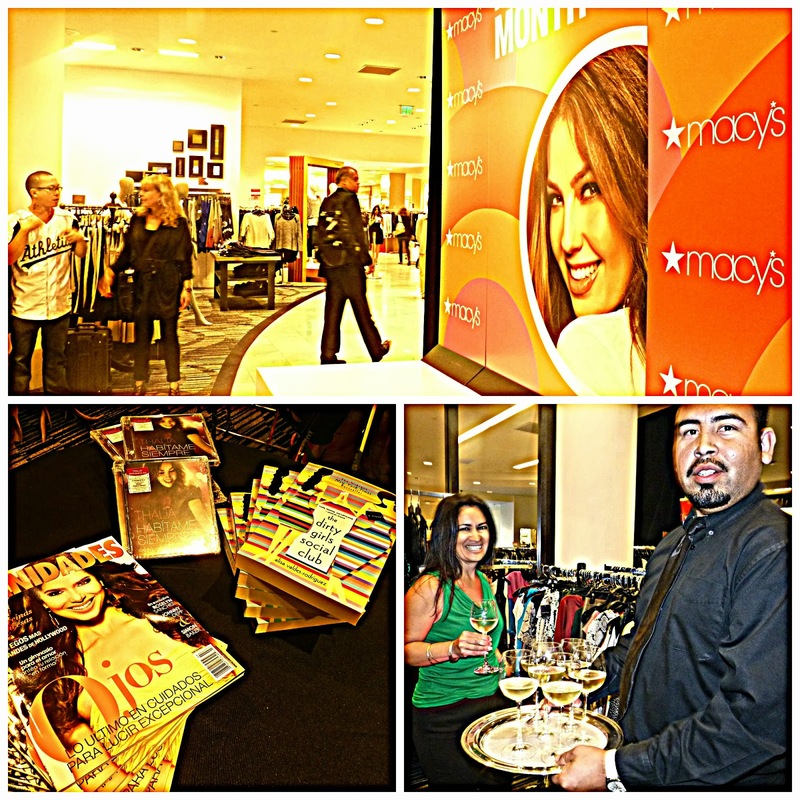 Hispanic Heritage Month wraps up this weekend, and I got the chance to celebrate in style at Macy's in San Francisco on Thursday evening. Macy's cultural events are known for combining music, fashion and cuisine is a festive mix. Macy's salute to Latino culture, history, vibrancy and their 2013 Icon of Style, Thalía did not disappoint! When I arrived, the DJ was already hard at work filling the air with Tejano and reggaeton. Servers passed around wine from Esterlina Vineyard and appetizers. Shoppers were treated to some extra perks: copies of Thalía's CD, Vanidades magazine, and the book Dirty Girls Social Club by Alisa Valdes. Sadly, Thalía did not attend in person but Alisa Valdes made sure her spirit was present when she discussed how Thalía inspired her to write Dirty Girls Social Club (soon to be a feature film!) because she busted stereotypes by being shrewd artist who took control of her business dealings. I have already added the book to my reading list! The highlight of the evening was the fashion show which was a tribute to Thalía's style. The must-haves for the fall is faux-leather and boots! Which look do you like the best? What fall trend are you most excited about? What a fun event! I love doing the Be Everywhere events - the last one I did was in Atlanta. I love all the leather...too bad I am pregnant and won't fit into anything! What a fun event, I love the second look with the animal prints. Can't wait for Dirty Girl's Social Guide to hit the big screen! Looks like a great event. I love all the fashions! That looks like such a great event. Such a great heritage to honor too!